In 1977, a 13-year-old kid found a tooth growing out of his left foot. Overlapping teeth are a common disorder these days which can be fixed very easily. But what about a tooth that grows out of your feet? Don’t believe us? Read on! A 13 year old boy from Lenoir named Doug Pritchard had been saving severe pain in his left foot for several days. When the pain became unbearable he told his father about it, who immediately took him to the doctor. 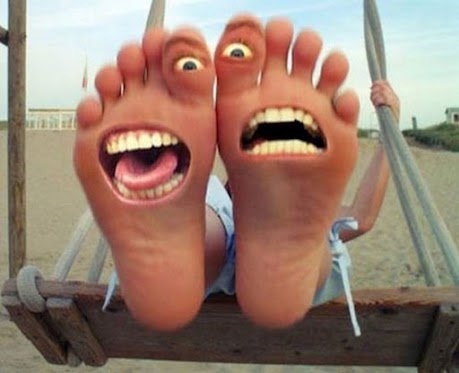 The doctor was shocked to see that a ‘tooth’ was growing out of his left foot. But the doctor also confirmed that it was actually a gene which was growing out of the wrong place. He later removed it. This is not a single isolated incident. You would be shocked to know that there have been many cases reported like this around the world where teeth have been discovered to be growing from sensitive places like nose, chest, and in the worst cases, even eyes!! A boy from China grew sharp and pointed canines, making him look like a vampire! A 23 year old woman from India didn’t even know that a tooth was growing out of her left eye! An Indian boy named Ashik Gavai suffered from Odontoma, due to which he grew 232 teeth. It took a 6 hour surgery to remove those pearl-like teeth out. An infant of only 4 months old was growing a tooth in its brain due to a special type of brain tumor. Stephen Hirst, a 47 year old, had a persistent pain in his left ear for 30 years due to a tooth that was embedded in his ear canal. These teeth which grow in some of the most unlikely places are absolutely temporary and can be removed with a simple dental surgery. Previous articleIf You Put Two Straws in Your Mouth, One Inside a Drink And One Outside it, You Won’t be Able to Drink Through Either Straw. Next articleThe Inventor of Vaseline Claimed that He Ate a Spoonful of it Every Morning!